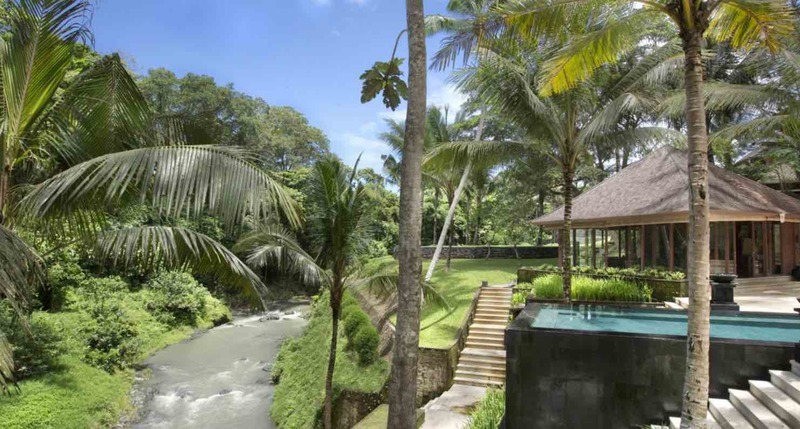 Villa The Sanctuary Bali in Canggu is a spectacular and luxurious 10 bedroom wedding villa in the middle of the jungle along a flowing river. 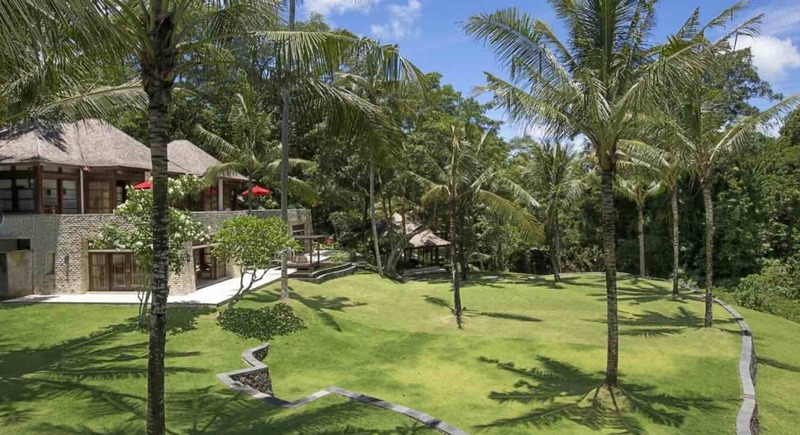 Villa The Sanctuary Bali breathes luxury, elegance and grandeur. 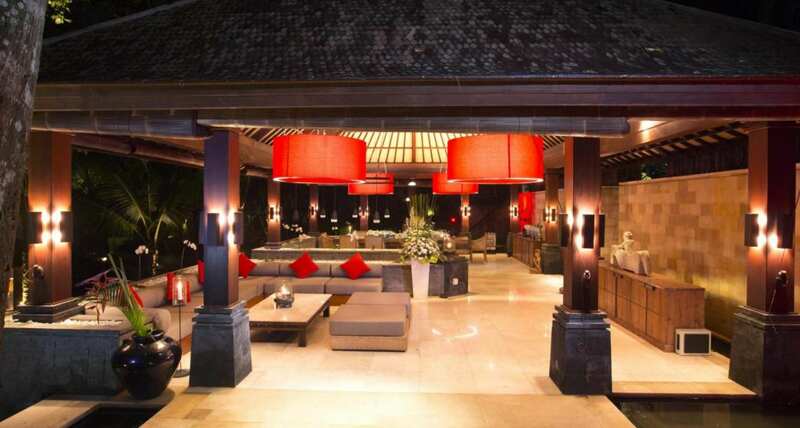 Villa The Sanctuary Bali is renowned for its premium five star service: 27 professional staff members look after you 24 H per day. 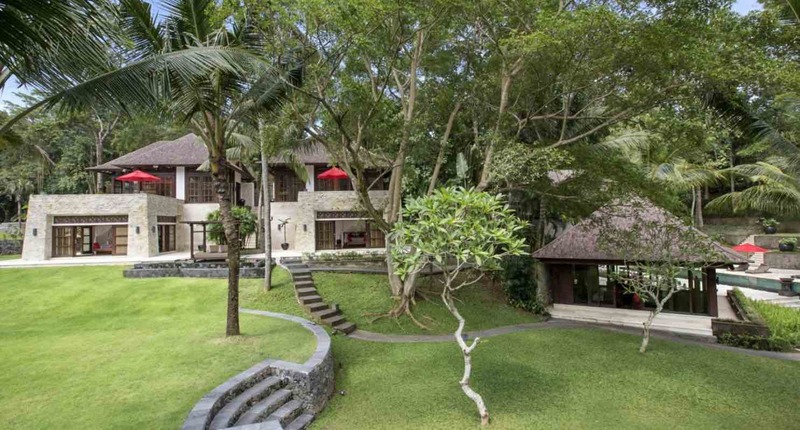 Villa The Sanctuary Bali specializes in large groups, friends reunions, family holidays, corporate retreats, yoga retreats, birthday parties, weddings and events. 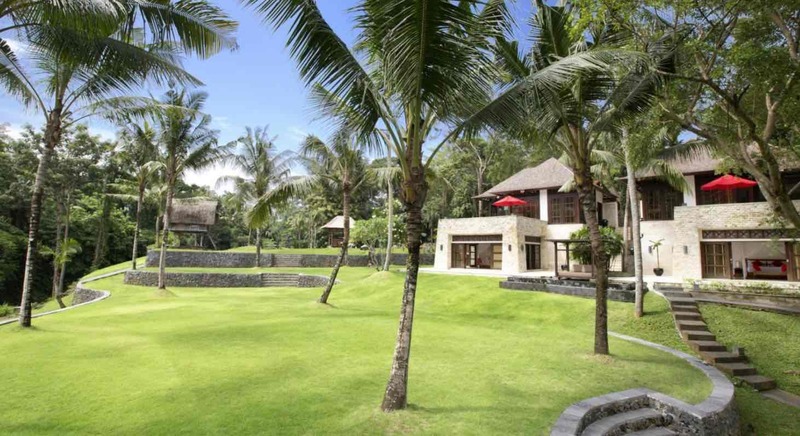 The villa is extremely child friendly and the perfect venue for your Balinese dream wedding. 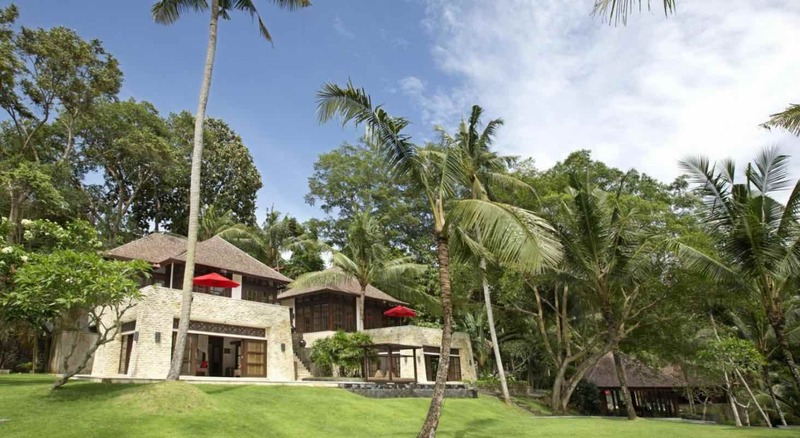 Villa The Sanctuary Bali houses 10 luxurious bedrooms (1 master suite with private pool and tropical garden for the bride and groom + 6 luxurious bedrooms with en-suite bathroom + 1 romantic bale bedroom + 1 bunk bedroom where maximum 20 children can sleep in 10 bunk beds: this bedroom can be converted into 2 standard bedrooms with a double bed) so many of your guest can stay together in this breathtaking villa. 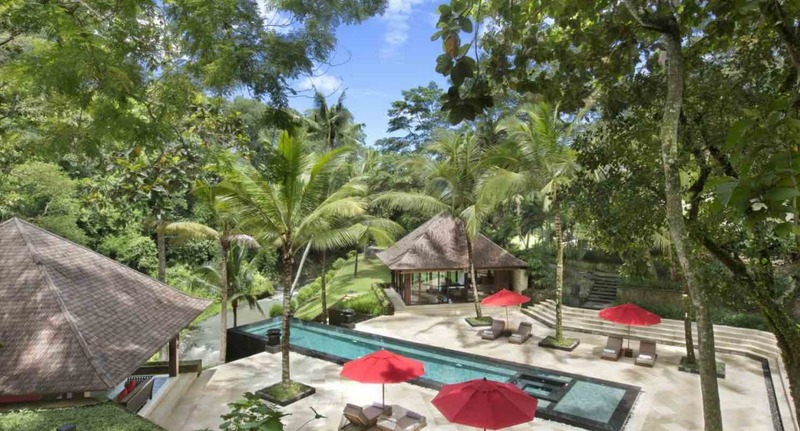 Villa The Sanctuary Bali has a professional and fully equipped kitchen connected to a central dining and living pavilion overlooking an amazing 35-meter infinity pool with unobstructed jungle and river views. 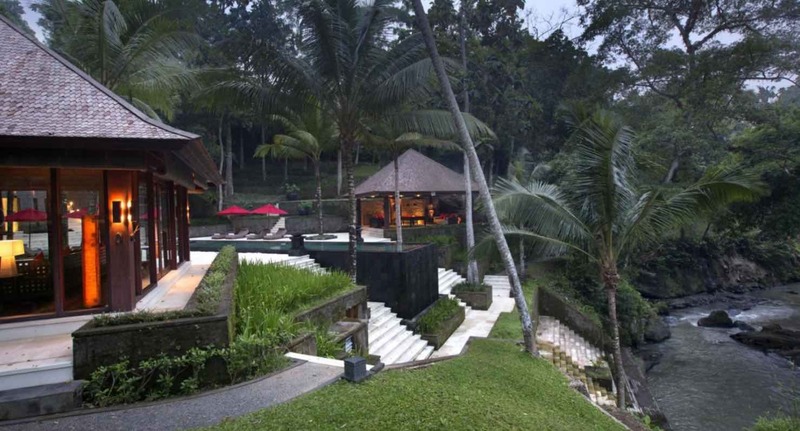 Along this pool you have two wooden Bales with library, media room, cinema TV system, sun loungers, bar, billiards table, DJ System and games. 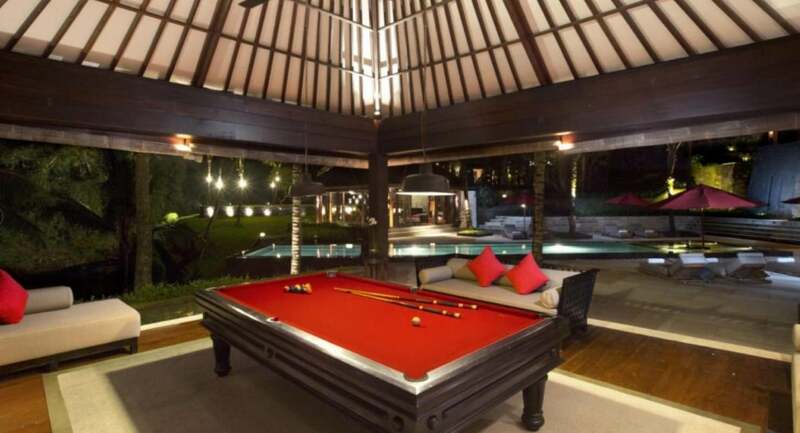 In the pool you find a build in Jacuzzi and Kids Pool. 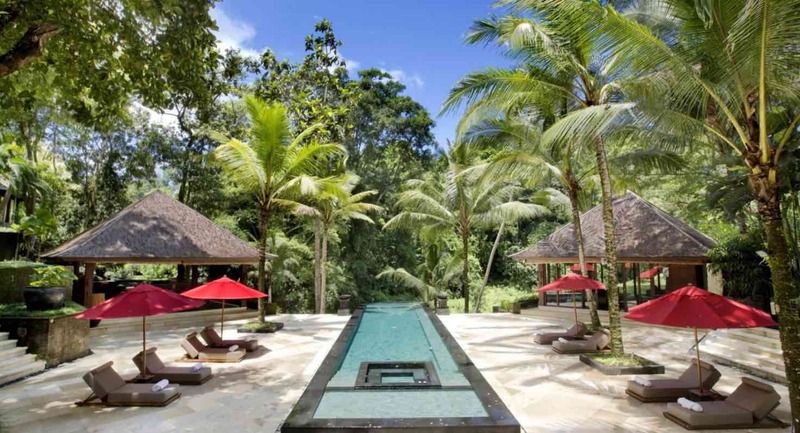 This villa also has a spa, a gym and a wedding pergola. 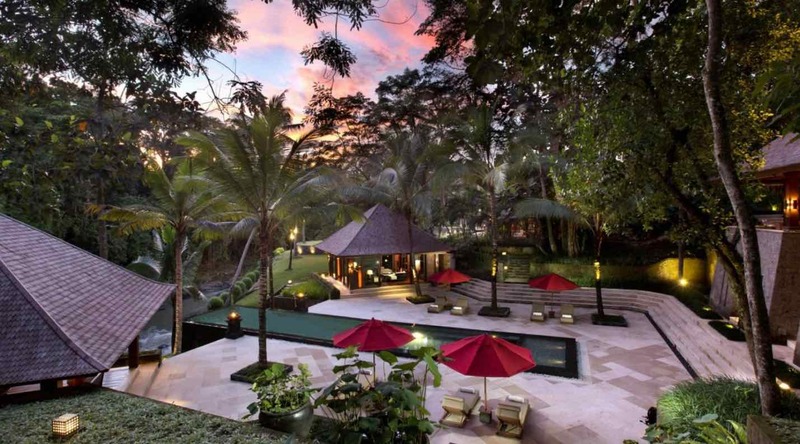 The expansive green lawns and perfectly manicured gardens offer stunning views. 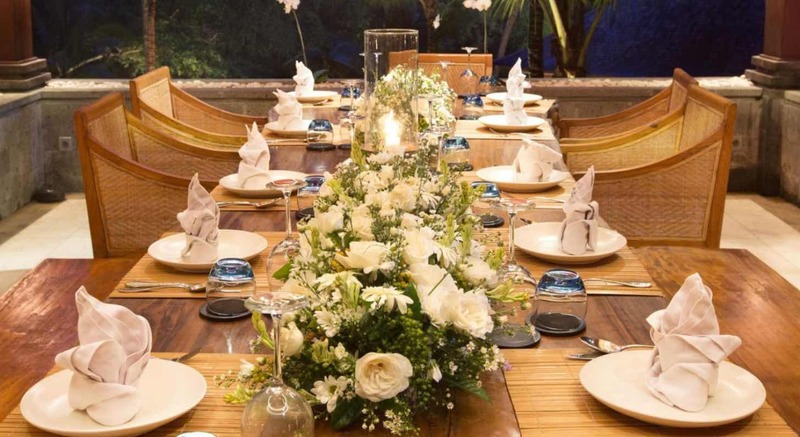 This private wedding villa is definitely one of the top venues in Bali: perfect for your wedding ceremony and wedding reception. 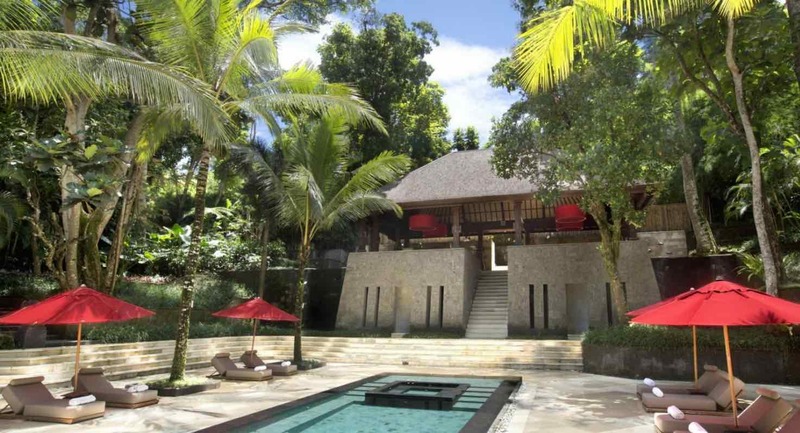 One pavilion offers a very spacious master bedroom (384 m2) and en-suite bathroom with tropical garden and private pool (10 meter). Professional kitchen team and they will be very happy to cook from our Western or Indonesian menu. 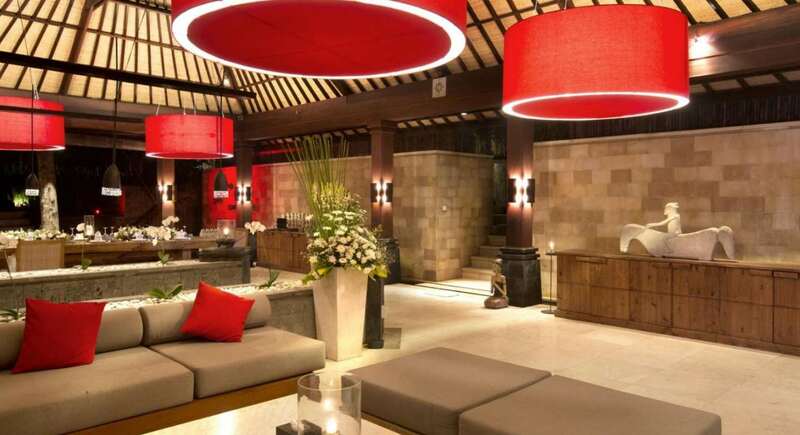 Should you have any special request please feel free to consult with our Chef or Villa Manager, they will be more than happy to assist. All ingredients are purchased by our staff. 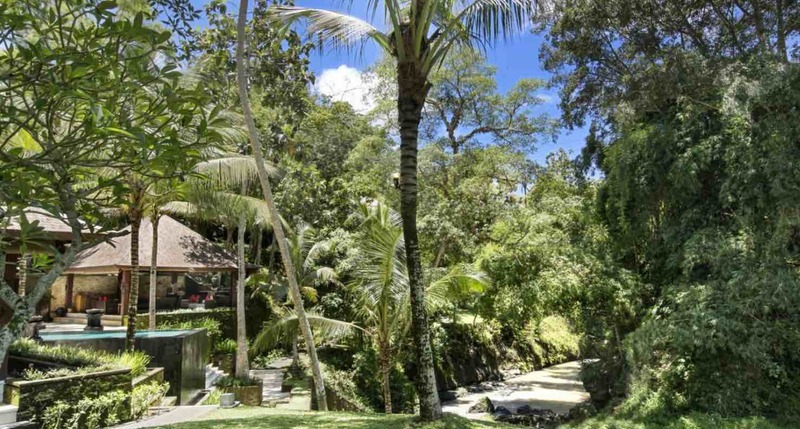 We need 3- 4 hours for shopping to serve the food so please be so kind to put the order as early as possible to either our Villa Manager or Chef. 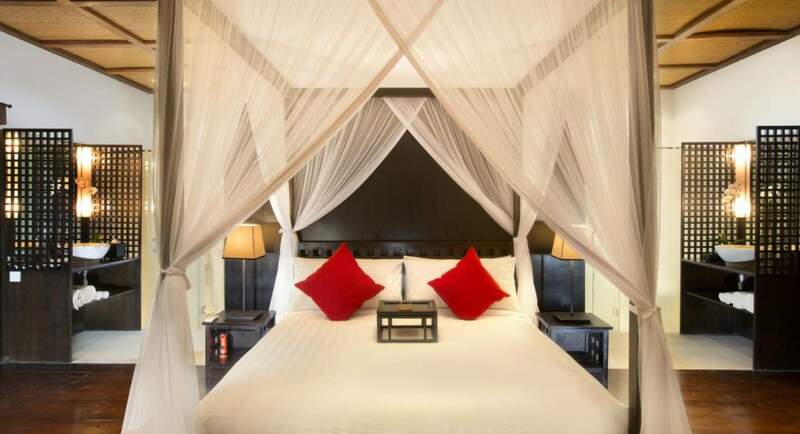 We provide you with a selection of soft drinks at your bedroom’s mini bar. Please contact the Villa Manager if you need additional soft drinks, beer, wines or spirits to be stored in the fridge which we charge at cost price + 15 %.